WATERFRONT!!! Run, don't walk to your phone to inquire about this beautiful 3 bedroom/2 bath affordable waterfront home. Once you enter the home, you will feel the warmth and charm that make this home a real find! The remodeled kitchen is equipped with an island which gives you ample space to prepare meals for family and friends. The family room is the perfect space to enjoy a movie night or simply relaxing and enjoying a good book. The nicely-sized master has a re-designed en-suite with personal touches from the flooring to the tile in the stand alone shower. You can enjoy a nice Florida sunset while relaxing on the covered, screened patio and enjoy water views. 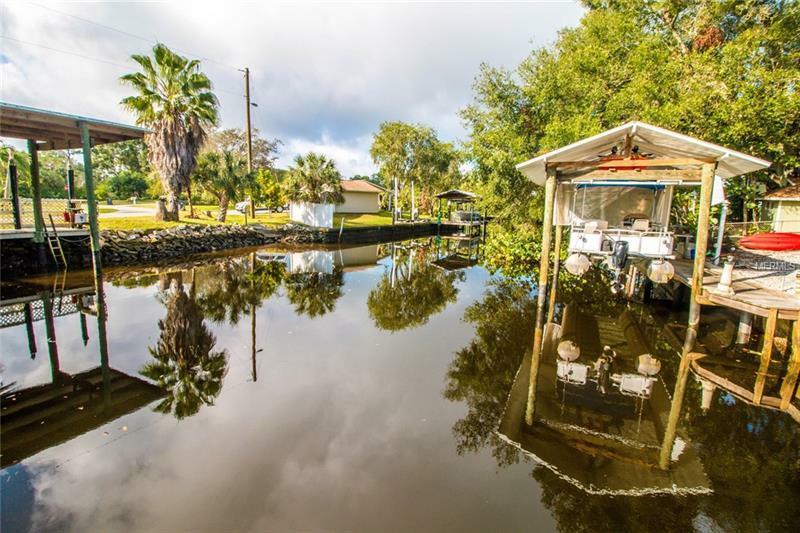 This lovely home comes with a dock so you can park your boat after spending time on the water. This home is close to Tampa, Brandon, Riverview and beyond! Don't miss out on this opportunity to home this affordable waterfront home! Seller Call today for your private showing.